- Date: 11/2012, IPO: undisclosed amount (post valuation: undisclosed amount). Blenture is the creator of Playrock, a location-based gaming network with a big twist. Mobile players can create their own location-based spaces and play multi-player games in real-time with others who are next to them. We love to play games together with our friends. Even though in real-life any game can be played together in one way or another, most mobile games are still single player and cannot be played together. This is because developing multi-player gameplay and player matchmaking is hard, time-consuming and expensive. Furthermore, mobile gamers do not have a good experience playing multiplayer games due to limited player matchmaking. In most cases players are paired randomly based on availability. When players have the ability to choose their opponents, they cannot easily find people who are next to them to play with. In certain games players must use the same device for playing with each other instead of using their own devices. With Playrock, players can instantly create their own unique gaming spaces anywhere they go: in class, at work, in their favorite bar, or even at home. Players can join spaces around them, meet other players, and talk, play and share their gaming experience in real-time. It is super easy. From inside the space, you see all available players, you can then select a player and then the game that you want to play and send an invite. Once the player accepts the invitation, the game starts for both players. Playrock platform allows developers to add their games into Playrock spaces and improve the gaming experience for their users. By using Playrock’s SDK, any single-player game can be transformed into multi-player with robust player matchmaking. The Playrock platform provides the necessary communication channel between the players and the data storage capabilities. We are moving towards a new multi-screen world where players have multiple mobile devices around them. With Playrock, developers can engage their users by using various mobile devices during the game itself, creating a unique and engaging gameplay. For example, while two players are playing a game using their own devices, the game can be displayed on a third screen for others to be able to watch the game as well. Additionally, instead of adding a game to global lists with little exposure, a game is added to dynamic gaming spaces, gaining a great exposure at the time when the players wish to initiate a game. Our Beta version is currently being used by a small group of users. It is available in Google Play Store. We are planning to run the beta version until the end of the year and then to reach the mobile gamers community. 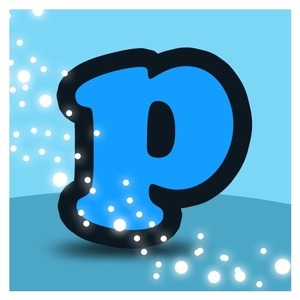 We are aiming to release Playrock with a dozen multiplayer games in January 2013. We aim to be the standard user interface for mobile gamers to play together. Experienced software engineer with experience on multiple platforms. Worked for both big companies and startups. A programmer at heart. Playrock’s eco-system includes end users, developers, business owners and advertisers. End users are the players who download Playrock app, and use the app for creating their own gaming spaces or for finding relevant players in other spaces. They can play, share and interact with other players in spaces around them or in spaces that they are member of. We aim to make Playrock the central place for people to initiate games with others in real-time. Simplicity, intimacy and privacy were the key guidelines that we followed while designing Playrock. End users who create their own virtual spaces will be able to customize their spaces for their users by purchasing additional features to include in their spaces, improving the gaming experience. Developers can use Playrock SDK for adding their games into Playrock spaces. Integration effort varies based on the game itself and the type of gameplay the developers choose for their games. By adding games into our network, developers will improve the gaming experience of their users. Developers will provide their users a robust player matchmaking, dynamic gameplay and a simple 3-step approach for initiating a game with another player (joining a space, selecting a user and picking a game). Developers will gain exposure to their games. Games will be added to Playrock spaces and players who join these spaces will see the games and will need to download them before accepting an invitation to play together sent by another player. The spaces were designed to engage users by allowing them to share their own gaming experience and chat with other players in real time. We are providing a new way for developers to monetize. Our proprietary technology allows developers to offer players to share their virtual goods with other players inside their spaces. For example, a player who created a space for his classmates and wants to share a cool feature of one of the games with everyone in the space will be able to purchase it and share with the entire space. Only players who join his space will be able to use this feature. Playrock will also offer premium SDK services on a subscription basis for making their games even more engaging for their users. Businesses, such as local bars, coffee shops, lounges, or other service providers, can create their own location-based gaming spaces available for their customers. They can configure multiple screens in the place itself for maximizing the gaming experience for their customers. Spaces used by businesses will have a certain quota for the number of games initiated inside their spaces. Spaces that are over the initial quota will be charged for the extra interactions. Advertisement companies will be able to advertise inside Playrock spaces. This intent based advertisement will be more appealing to advertisers since they reach gamers who joined specific spaces. Comparing to other platforms available in the market today, Playrock is the only real-time multiplayer platform that provides robust player matchmaking. Other competitors either provide social features but not real-time multiplayer gameplay or provide limited player matchmaking, but not both. Developers can use Playrock to improve the gaming experience of their users by changing the gameplay itself into a unique multiplayer experience. "Draw Something" was a huge hit by changing from a single-player to multi-player gameplay. We provide a platform for developers to do the same. Q: What are the different types of virtual spaces? A: Users can create local spaces or personal spaces. A local space has a specific fixed location, such as a space created in a classroom or at home, while a personal space does not have a location associated to it. Local spaces are great for players who want to play with other people next to them. For example, a student who wants to play with other students can create a local space outside the classroom and students will be able to quickly find that space, join and play together. Personal spaces are great for players who want to play with their friends in a small and intimate setting. Players can access personal spaces only if they are members of these spaces. Q: Is the choice of players always restricted to people from the same space? A: Yes, the choice of players is only from the people of the same space. However, players can be joined to more than one space at the same time. Q: How would users actually start a game with another player? A: Users need to join to the same virtual space. From inside, it is a 2-step approach: either picking first the game and then the player or picking the player and then the game. Q: Are there different roles inside a space? A: Yes, we implemented 4 different roles: non-member, member, admin and owner. The owner is the person who created the space and admins are users who were assigned by the owner to help him to administer the space. Owner and admins can approve membership requests of other users. Members, admins and the owner can join the space from anywhere whereas non-members must be physically nearby the space. Q: How does Playrock help me to turn my game from a single-player into a multi-player game? A: Developers don't need to worry about initiating the game with two users and setting the communication channels. Playrock takes care of these. After the user who was invited to the game accepts the invitation, the game is opened in both devices and the players' IDs are handed to the game itself. Any information developers want to pass from one device to another during the game, they just need to provide that player ID. Our architecture is currently client-server-client (message based) among all users. Q: What happens if a user tries to play with someone who does not have that game installed? A: The user will still receive your invitation to play together but will have to download the game before accepting the invitation request. Blenture Software was featured in a VatorNews article: "Traxo has won Vator Splash NY!" Blenture Software was featured in a VatorNews article: "Today's Entrepreneur: Amit Schreiber"
Blenture Software was featured in a VatorNews article: "Today's Entrepreneur: Tamir Rosenblum"